Tim here, and I came upon a press release earlier today for Andy Serkis' Jungle Book adaption being handled by Warner Bros., which is not to be confused with the Disney one being directed by Jon Favreau. The press release (below) announces the cast of the Serkis headed movie, and it's quite the impressive cast. If you remember earlier in the year when I interviewed Andy Serkis at CinemaCon we spoke briefly about Jungle Book: Origins, which he had just been announced to direct. BURBANK, Calif. --(BUSINESS WIRE)-- Warner Bros. Pictures has assembled an impressive roster of stars for "Jungle Book: Origins," its new big-screen, 3D adaptation of Rudyard Kipling's classic The Jungle Book, marking the feature film directorial debut of Andy Serkis. The action adventure, which will blend motion capture and live action, will be released on October 21, 2016. The announcement was made today by Greg Silverman, President, Creative Development and Worldwide Production, and Sue Kroll, President, Worldwide Marketing and International Distribution, Warner Bros. Pictures. The actors performing the roles of the story's central animal characters are: Benedict Cumberbatch ("The Hobbit: The Desolation of Smaug") as the fearsome tiger, Shere Khan; Oscar winner Cate Blanchett ("Blue Jasmine") as the sinister snake, Kaa; Oscar winner Christian Bale ("The Fighter," the "Dark Knight" Trilogy) as the cunning panther, Bagheera; Andy Serkis ("Dawn of the Planet of the Apes") as the wise bear, Baloo; Peter Mullan ("Hercules") as the leader of the wolf pack, Akela; Tom Hollander as the scavenging hyena, Tabaqui; Naomie Harris ("Mandela: Long Walk to Freedom") as Nisha, the female wolf, who adopts the baby Mowgli as one of her cubs; Eddie Marsan ("Ray Donovan") as Nisha's mate, Vihaan; and Jack Reynor ("Transformers: Age of Extinction") as Mowgli's Brother Wolf. On the human side, young actor Rohan Chand ("The Hundred-Foot Journey," "Bad Words") will play the boy raised by wolves, Mowgli. The film is being produced by Steve Kloves, who wrote seven of the blockbuster "Harry Potter" films. Jonathan Cavendish ("Elizabeth: The Golden Age," performance capture producer "Godzilla") is also serving as a producer. The screenplay is by Kloves' daughter, Callie Kloves, based on the stories by Kipling. 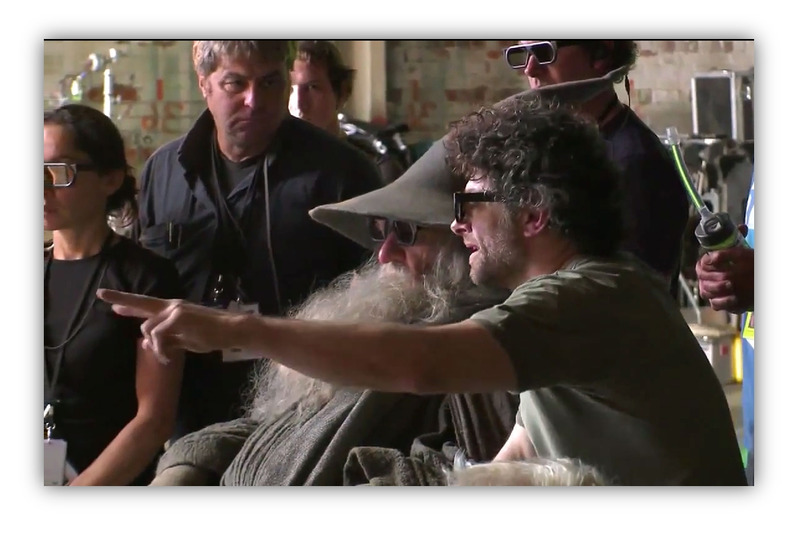 Look for production to begin as soon as Andy Serkis wraps up his duties on Star Wars Episode VII. Jungle Book: Origins hits theaters in 3D on October 21, 2016. More details when we get it. Labels: 2016, 3D, Andy Serkis, Benedict Cumberbatch, Cate Blanchett, Christian Bale, Jungle Book: Origins, Native 3D, Performance Capture, Rohan Chand, The Jungle Book, Warner Bros.